The block where Miles Davis lived on West 77th Street in New York City is now Miles Davis Way in his honor. Officially licensed The Band t-shirt. Take a load off Fanny, and you put the load right on me. 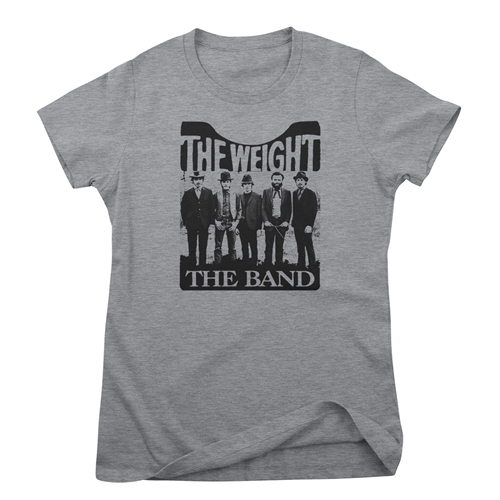 Fans of The Band will enjoy this shirt that features one of the group's most famous songs. 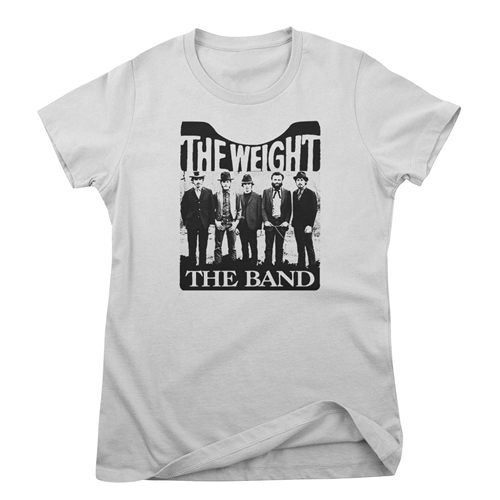 This is a comfortable 4.5oz preshrunk 100% combed & ringspun cotton Anvil ladies The Band t-shirt. Sizes run very true. These are not fitted, but lightly semi-contoured for a comfortable fit. Heather Grey is 90/10, any other heather colors are 60/40.